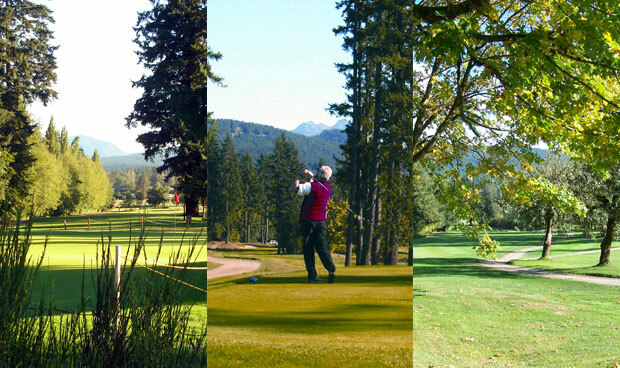 Nestled amongst the evergreens under the ever watchful presence of Mount Arrowsmith, this Alberni Golf Club is a traditional golf course with a rich history extending back to the 1920's. While there have been many improvements to the course over the years you can nevertheless feel the spirit of those who have roamed the fairways before you. There is ample enjoyment and challenge for golfers of all skill levels. 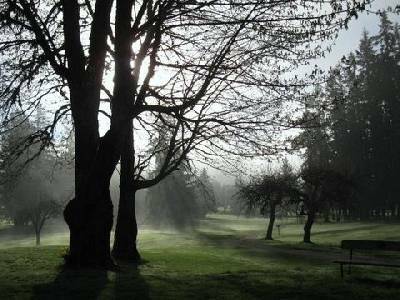 This par 70 jewel follows the contours of a salmon bearing stream which comes into play on several holes and also makes its annual contribution to the world's salmon capital, Port Alberni.